Maula Ya Salli Wa Sallim naat also famous as Qaseeda Burda Shareef is listened to across the world. This naat is probably one of the several naats that are equally popular in Muslims throughout the world. 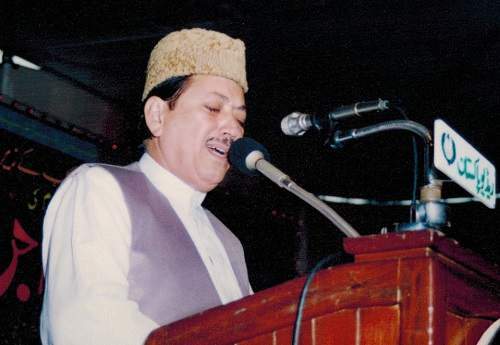 Qasida Burdah Shareef or Mola Ya Sali Wasalim naat has been written and recited in many international languages including Arabic, Urdu and Persian languages. PoemsUrdu.com is offering this breath taking naat in beautiful voice of Alhaj Owais Raza Qadri with lyrics in different languages (Urdu and Arabic). Enjoy the beauty of this naat; you may click the play button again as did I.